To celebrate the 40th anniversary of the adoption of the 1977 Protocols additional to the Geneva Conventions, the ICRC Library and Archives team is releasing a special edition of the international humanitarian law bibliography accompanied by a selection of audio recordings about the Additional Protocols. 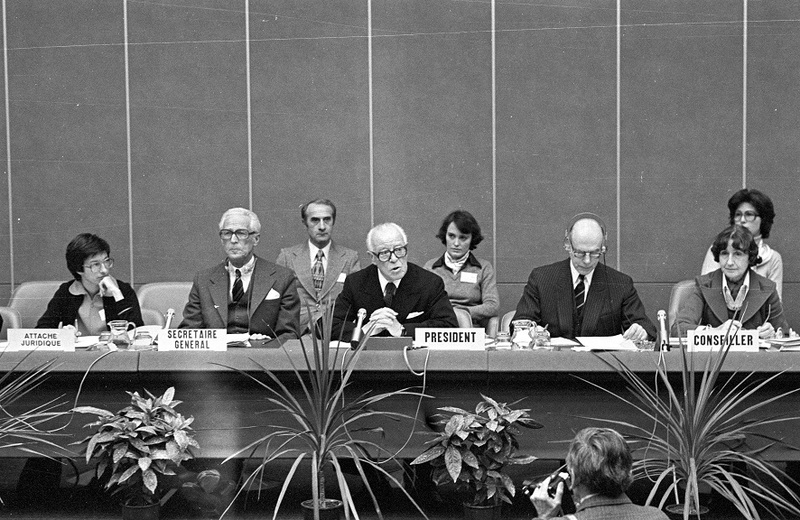 June 8, 2017 marks the 40th anniversary of the adoption of the two Protocols additional to the Geneva Conventions following the 1974-1977 Diplomatic Conference on the Reaffirmation and Development of International Humanitarian Law Applicable in Armed Conflicts. On this occasion we have delved into the academic literature on the Protocols to produce a special edition of the international humanitarian law bibliography. What were the obstacles encountered during the drafting process? What was the impact of wars of national liberation or of the atomic bomb during the negotiations? What were the main novelties included in these new treaties? How were they perceived by the various countries? What are the key documents to read in order to understand the Protocols? You will find the answer to these questions and many others in the references listed in the bibliography, which offers a selection of articles, books and chapters in French and in English based on materials available at the ICRC library. A number of recordings from our audiovisual archives portal also refer to the Additional Protocols. We have selected a few of them below. Marco Flaks, a reporter who appears in many ICRC recordings, led interviews with ICRC officials on several occasions during the drafting and adoption process. 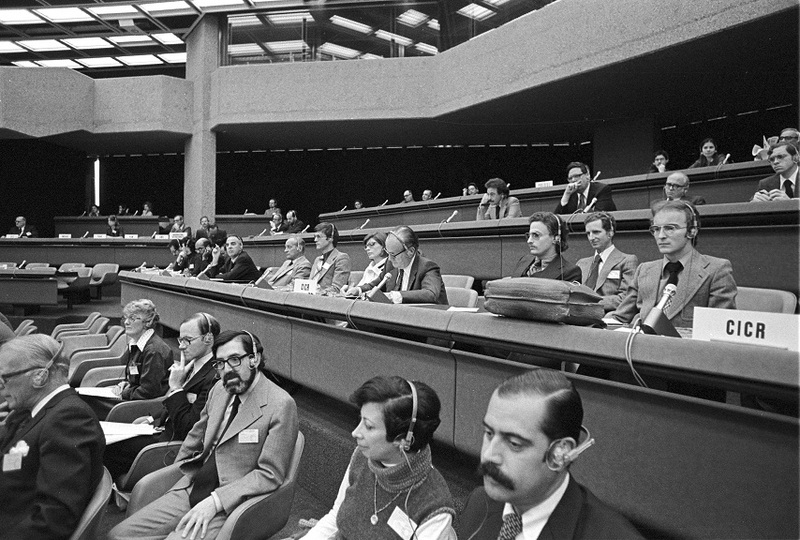 In these interviews (in French) Françoise Bory and Jacques Moreillon, both from the legal department, as well as the President Alexandre Hay reflect on the organization’s expectations, the difficulties encountered during the negotiations and the outcomes of the Diplomatic Conference which took place over four sessions between 1974 and 1977. In this excerpt from an interview given prior to his retirement, Jean Pictet discusses the protection of the civilian population against aerial bombardments, an issue that was discarded during the 1949 negotiations but came back at the 1974-1977 Diplomatic Conference. Michel Veuthey and Patrick Zand address the recommendation given by the Reagan administration to the US Senate not to ratify the first Additional Protocol. They indicate that this should not be seen as a rejection of Additional Protocol I but rather as the beginning of dialogue on international humanitarian law within the American government.